Like you (based on what you said in some of your writing), I came a little late to country music. I was an ex-corporate lawyer studying film at NYU and living in Williamsburg, Brooklyn doing my Lou Reed impersonation at open mic nights when I discovered Wilco and was hooked. Then I met a drummer from Texas who introduced me to Townes Van Zandt's songs and country music, and we started an alt-country band called Kids & Animals. We played a lot of gigs around NYC and made enough to pay for rehearsals, etc., but then all the band members got married and left New York's skyrocketing housing costs. I moved to LA to pursue film after a screenplay of mine got some attention - I got an agent, a manager, pitched at a lot of studio meetings and even got hired to write a script - but it didn't get produced, my agent quit (to become a screenwriter! ), I did a lot of free rewrite/pitch work and got frustrated with the lack of control. All the electronic musicians (and Bon Iver's 22, A Million) led me to start learning synths, arpeggiators, etc., and weaving them into my alt-country, and the other songwriters really encouraged the style. After writing and posting 70+ tracks, I chose the 6 most popular and recorded this EP ('The Heart's Electric') with the help of drummer Emily Dolan Davies (Tricky, Brian Ferry), whom I met on Reddit and bonded over our love of Levon Helm. (I also have about 10 other tracks I recorded and will be releasing as singles this year). I also met Evren Goknar, a Capitol records mastering engineer (at a kid's birthday, fellow Dad!) - we hit it off, and he agreed to mix and master in his free time. That dogged pursuit of self-expression is abundantly evident in The Heart's Electric. 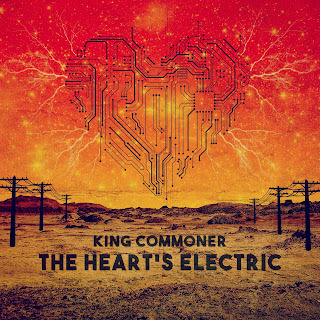 King Commoner's voice is winningly earthy and warm, which makes the contrast with the electronic elements in his songs even more stark. 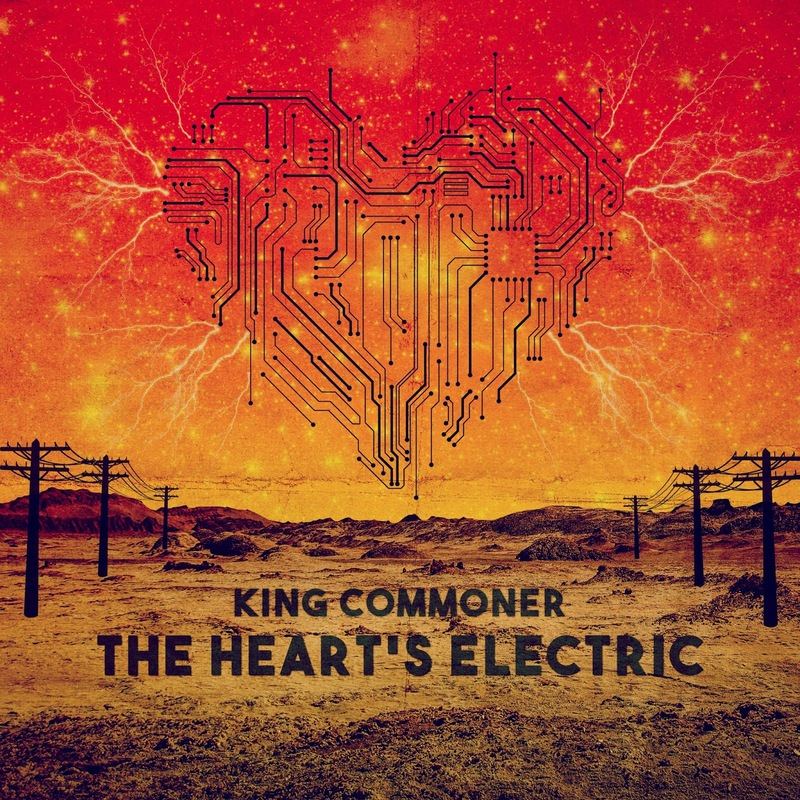 King Commoner's songs feel like a valiant fight against the alienation of modern life. Or -- if you want to put a more positive spin on it -- finding peace in a middle ground between tradition and modernity. If nothing else, The Heart's Electric proves that country and pop can successfully coexist as long as the songs earnestly come from the heart.